The GLS is effectively a facelifted GL, and gets the family look now, with a front end that looks a lot like the S-Class. Mercedes is in fact calling the GLS the S-Class of SUVs. Powered by a V6 diesel engine, the GLS has everything a full-sized luxury SUV should in terms of performance, luxury, comfort, space and equipment. 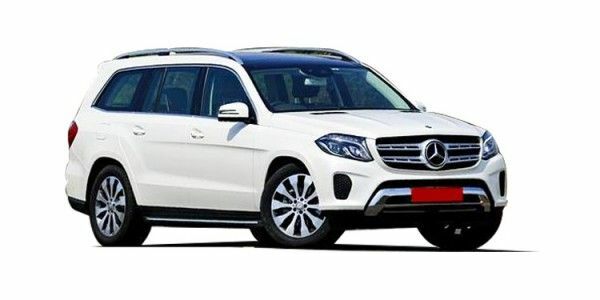 Mercedes’ 2020 GLS has been accidentally leaked by Mercedes Switzerland just before its 2019 New York Motor Show unveil. The 2020 GLS takes it design approach from the 2019 GLE that is available internationally, which is no bad thing. It will feature a huge twin-slat grille with the logo integrated in it flanked by LED headlamps. On the side, the SUV looks clean with huge wheels that fill up the wheel arches nicely. Move to the rear and the GLS gets a slim set of split LED taillamps. Inside, the GLS follows Merc’s latest design language. You get twin displays and a new steering wheel with touchpads. The GLS will be offered with a wide range of engine options. For India, though, the GLS is expected to soldier on with the GLS 400 and GLS 350D with the engines being BSVI-compliant. The GLS will be launched in India eventually with a price tag north of the Rs 90 lakh mark. Mercedes-Benz GLS prices start at Rs. 82.90 lakh for petrol and goes upto Rs. 1.92 crore. The prices of GLS diesel variants start at Rs. 86.53 lakh and the top-end diesel is priced at Rs. 87.77 lakh. Mercedes-Benz GLS is available in 5 variants and 5 colours. The claimed ARAI mileage for the Mercedes-Benz GLS petrol is 8 kmpl, and for the Mercedes-Benz GLS diesel is 11 kmpl. The GLS looks contemporary with its new design, and gets more features and equipment too. Performance and handling can be adjusted depending on the conditions you are driving on. Space and comfort are abundant, and the GLS now offers more to buyers in its segment. Q. What is the service cost for GLS AMG? Mercedes-Benz gives its full-size luxury SUV a new face and added features. Is it really the S-Class of SUVs as the manufacturer is calling it?